BRUSSELS, Belgium -- The change in Ukraine's aspirations with regard to gaining NATO membership may be reflected in a communiqué at the alliance's summit, which is to be held in Lisbon, Portugal, on November 19-20. NATO Secretary Genera Anders Fogh Rasmussen. NATO Secretary Genera Anders Fogh Rasmussen said at a press conference in Brussels on Monday that according to the decision taken at the Bucharest summit, Ukraine and Georgia, if desired, would become NATO members if they meet the necessary criteria. "Whether we use the same words for both countries depends on the developments in the next few days. The fact is that there are nuances in the orientation and aspirations of the two countries with respect to future membership of NATO. This may be reflected in the summit's communiqué. But, in principle, the decision of the Bucharest summit remains in force," he said. 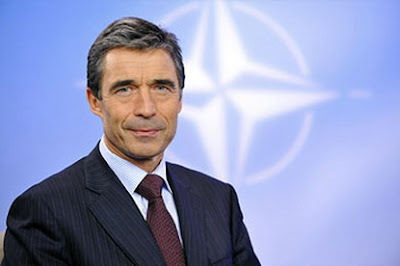 Rasmussen said that the upcoming summit would be one of the most important summits in NATO's history. At the same time, he named the key issues to be discussed by the heads of state and government, in particular, a new strategic concept, Afghanistan, the upgrade of relations with Russia and NATO's missile defense.